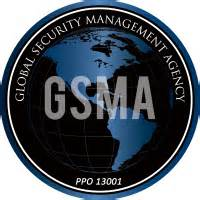 Global Security Management Agency is a Veteran-Owned, SBA Certified Native American 8(a) Small Disadvantaged Business that offers full-service security management operations to the commercial and government sectors. From protective intelligence that begins with vulnerability and risk assessments, to providing highly trained professional security officers on site, we are a one-stop source that can manage the full security life cycle during both normal and crisis operations. Global Security Management Agency provides winning security programs for small and large businesses alike. Our assessment and field application of security strategies and technologies are second to none. Since our inception in 1993, we have provided security services for organizations including retail centers, financial institutions, hospitals, government facilities, stadiums and event venues, manufacturing and biomedical facilities, schools, and more.